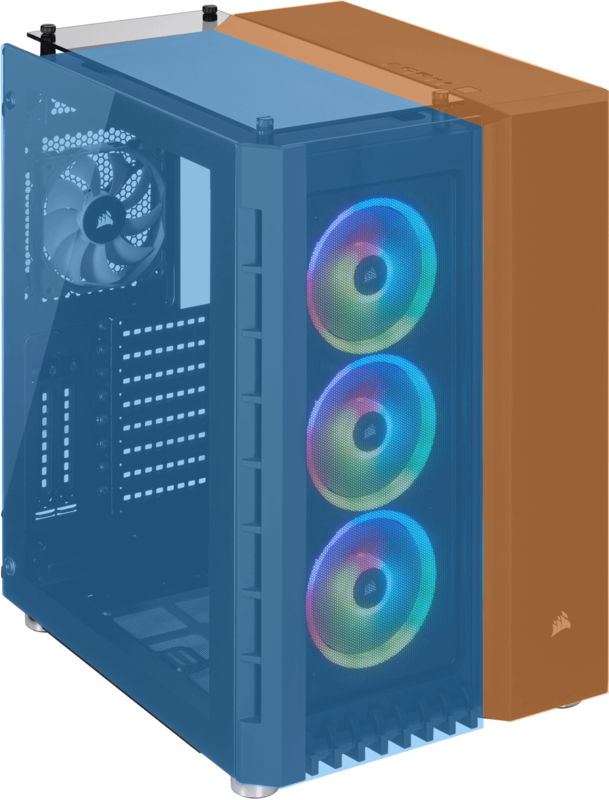 Four included 120mm cooling fans and a Direct Airflow Path™ layout deliver cool air to your PC’s hottest components. 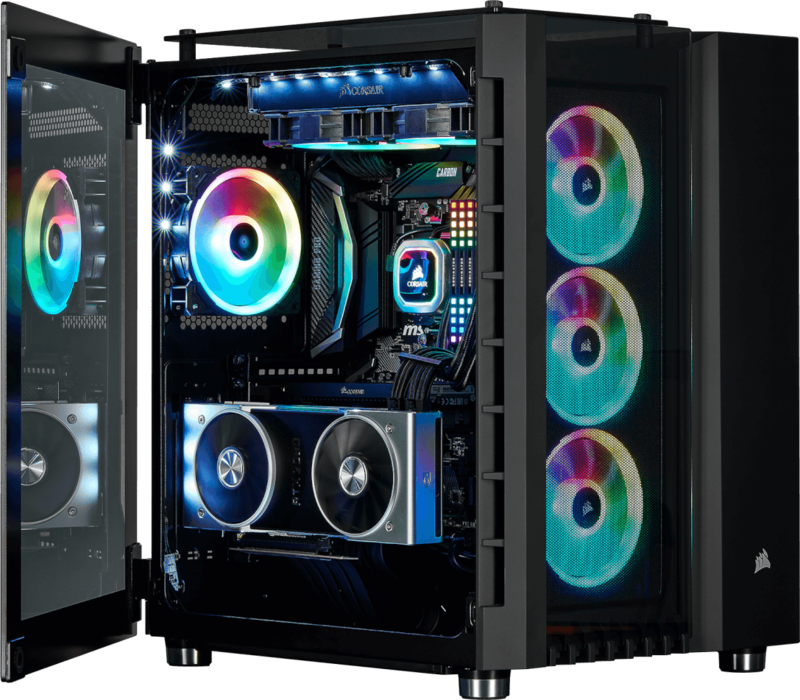 Three award-winning LL series fans light up your system with a total of 48 individually addressable RGB LEDs. 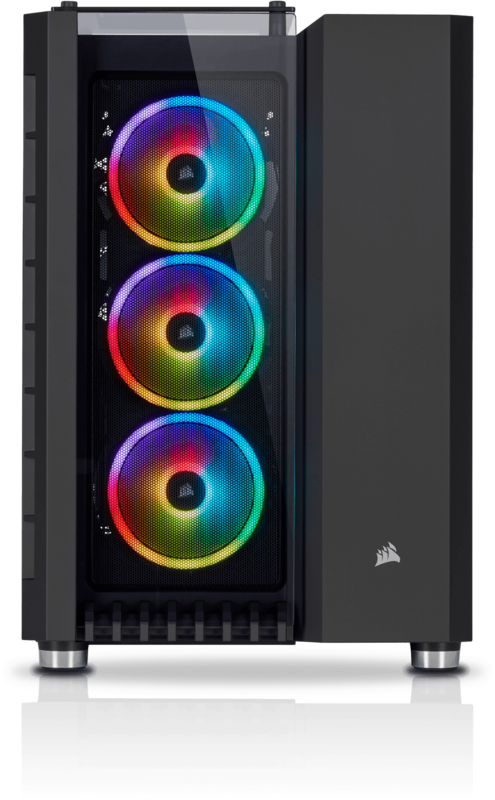 An included CORSAIR Lighting Node PRO turns the 680X RGB into a smart case. 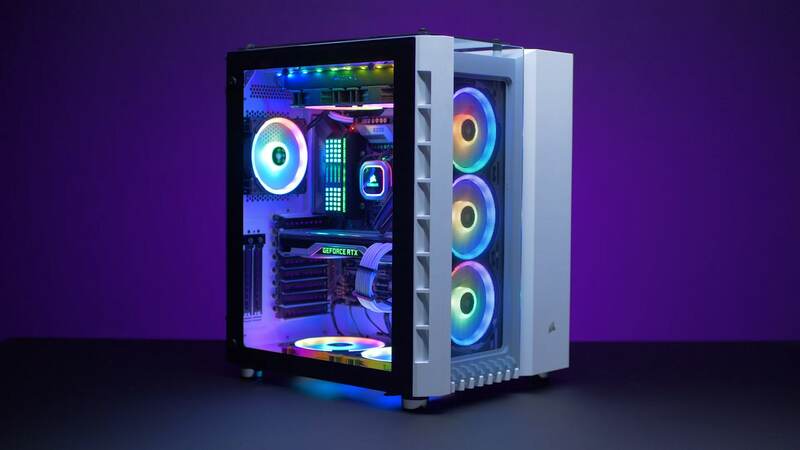 Powerful CORSAIR iCUE software enables dynamic RGB lighting synchronized across all your iCUE compatible products, including fans, RGB LED light strips, DDR4 memory, keyboards, mice and more. 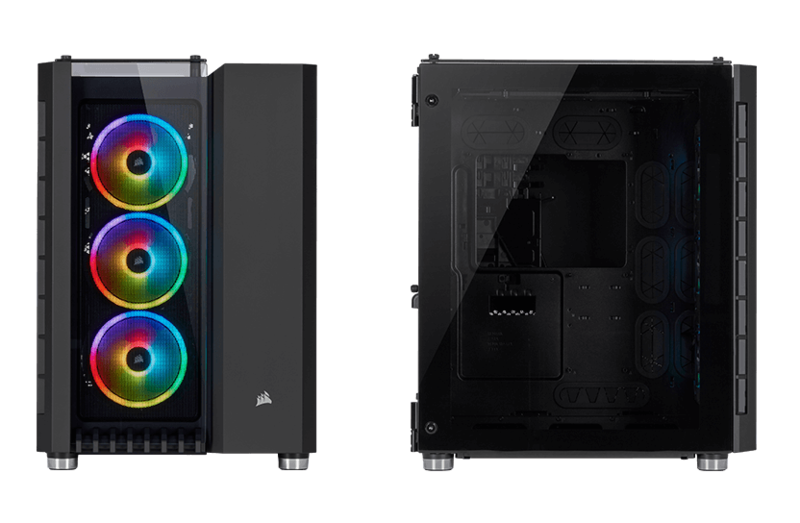 An evolution of one of the most popular CORSAIR case layouts, the 680X RGB is the peak of our dual-chamber cooling product lineup. 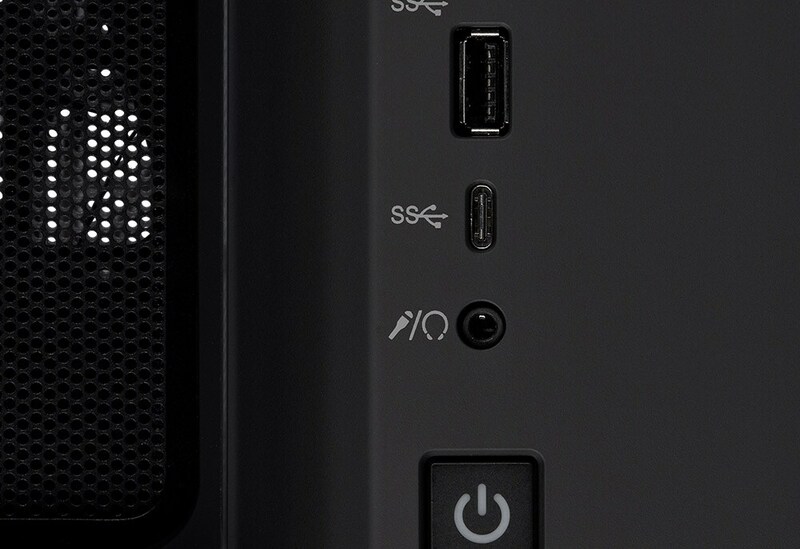 While one chamber is actively cooled with plenty of fan and radiator mounts, the other provides ample room for cable routing, drive storage, and PSU mounting, making it easier than ever to assemble an immaculate system. 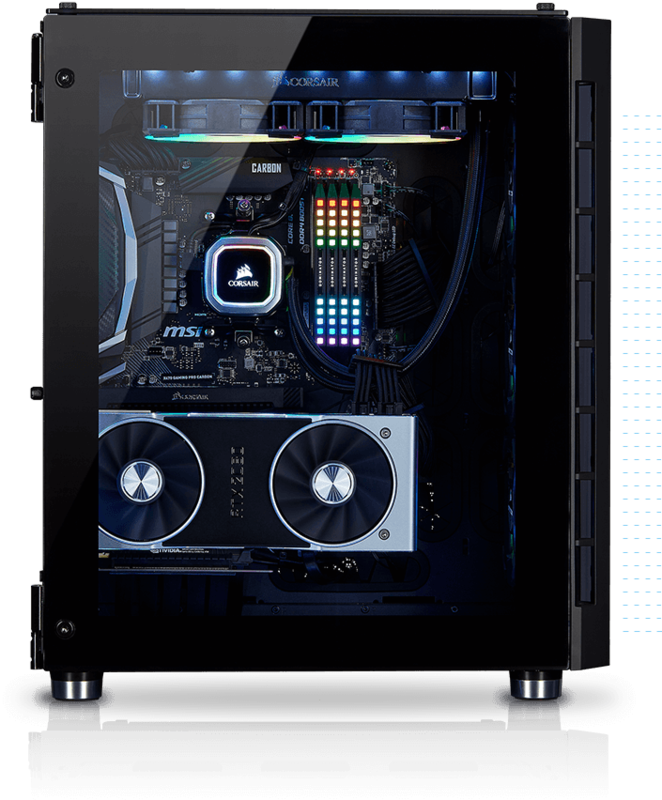 Fitted in the front, roof, and a hinged side panel door, providing a stunning view of your PC’s high-profile components. Install up to 8x 120mm or 7x 140mm fans for massive cooling potential, with room to mount up to four radiators. 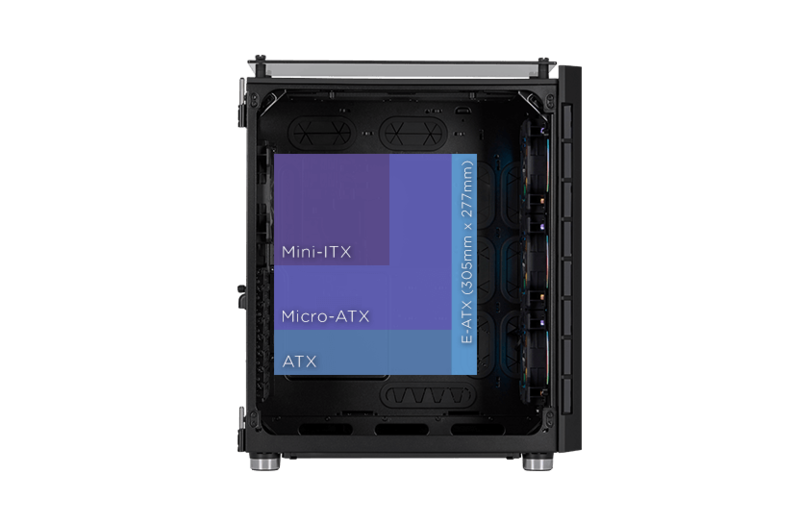 Easily install up to 3x 3.5in and 4x 2.5in drives in tool-free drive mounts, for high-capacity, flexible storage configurations. 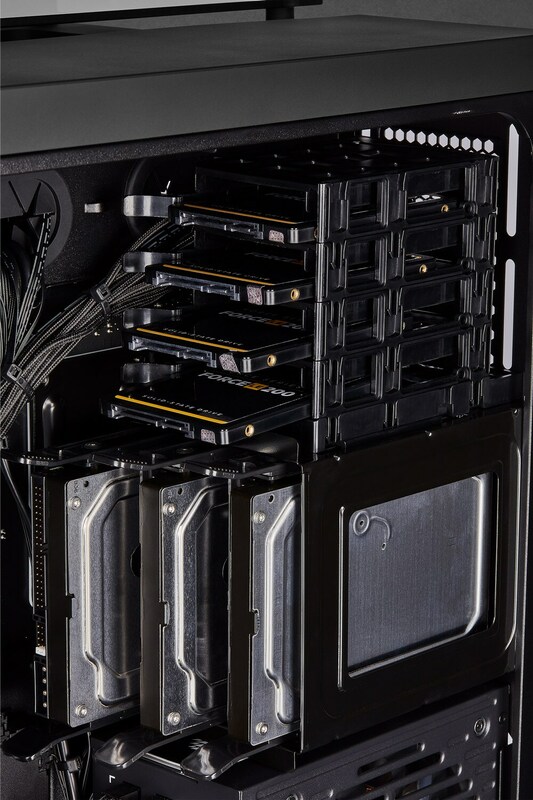 Put your graphics card center stage, perfect for showing off custom GPU cooling or your latest upgrade.